Nature’s Sunshine EverFlex® combines glucosamine, chondroitin, MSM, hyaluronic acid, and devil’s claw into a powerful formula that supports structural health. 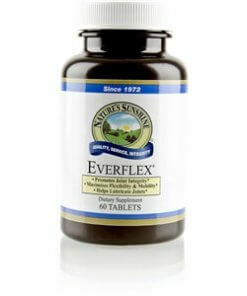 Each nutrient in EverFlex performs its own special function to encourage joint and cartilage health. Glucosamine, for example, supports natural lubrication processes of the joints and keeps them mobile. Chondroitin stimulates the generation of the body’s cartilage tissue and acts as a shock absorbent by drawing more fluid to the cartilage. MSM and hyaluronic acid also encourage proper joint function. 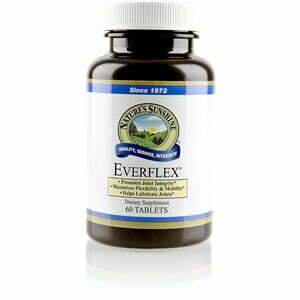 An EverFlex daily serving consists of 1,900 mg of these essential nutrients. Cellulose (plant fiber), stearic acid, silicon dioxide (powdered silica), and magnesium stearate (vegetable).